Something from my bar whenever I feel like it episode CXCVIIIsteemCreated with Sketch. 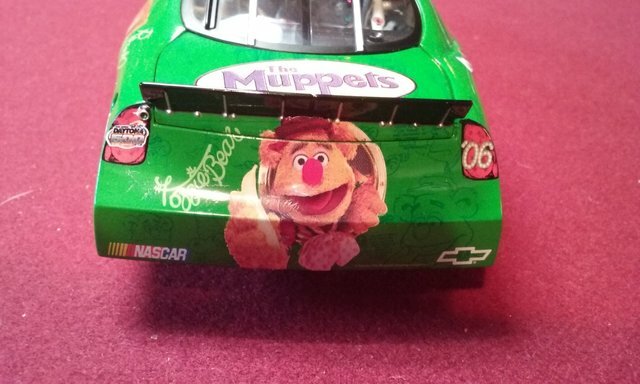 Bonus Speed Week Episode. 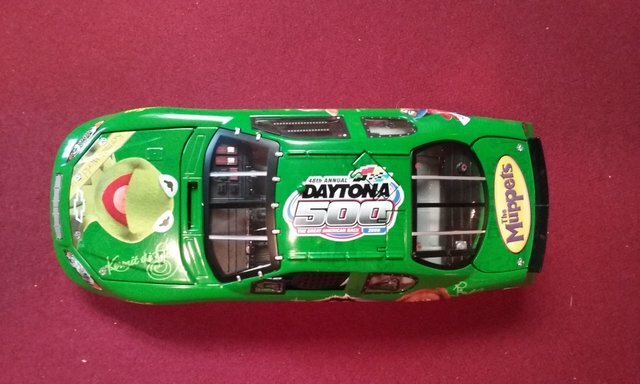 Since I have a lot of special Daytona 500 cars I figured I would do some bonus episodes for speed week. 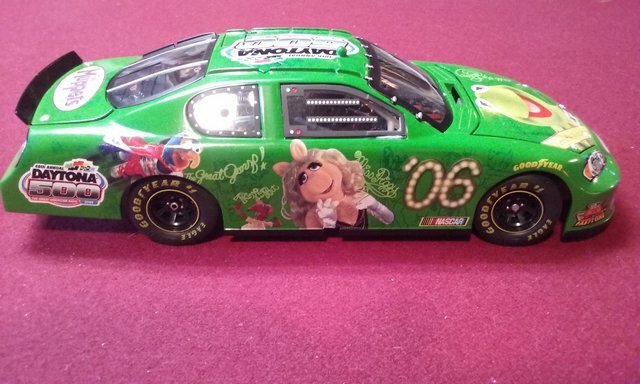 Since we need a green flag to kick things off how about this green car from 2006. 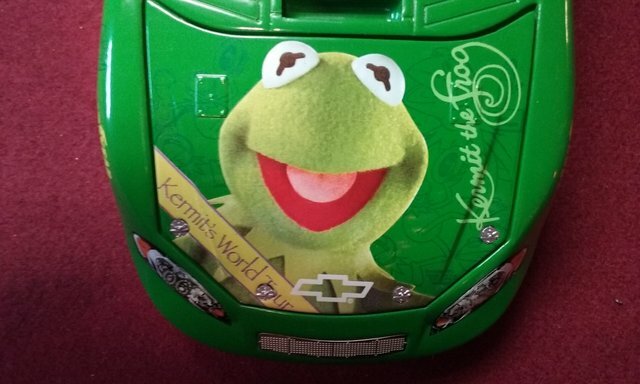 It's The Muppets car featuring Kermit the Frog and the gang. 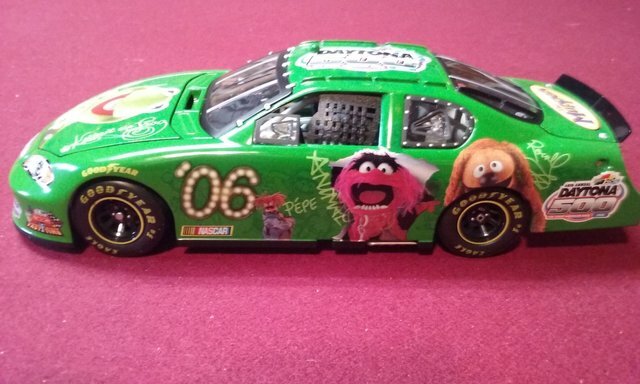 These are just collectibles not actual raced paint schemes.